The post that went live 3½ hours ago had this photo . . .
It’s not really a photo. It’s a graphic created with JWildFire Mini. I’ve been trying out some Fractal programs and came across that app. It’s sort of a Fractal program but not strictly so. 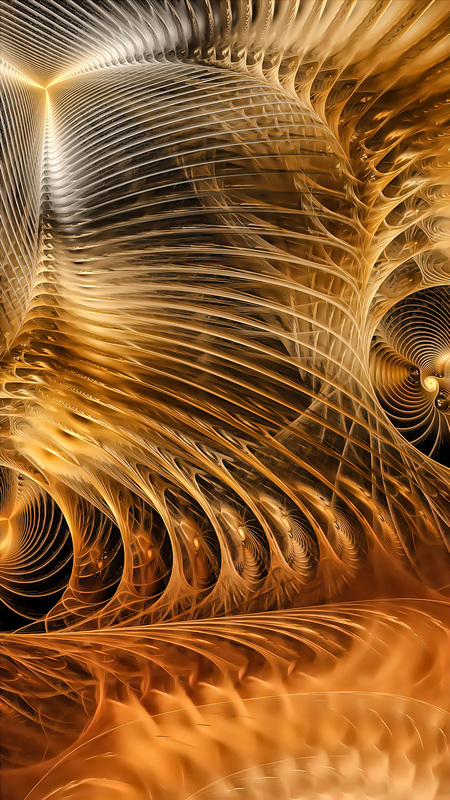 I used to play with Fractal programs back in the day and make these amazing graphics . . . but that program didn’t port to subsequent versions of Windows and I eventually stopped playing with it. It also had 3D mapping options that allowed you to create fantastic planets by “wrapping” the image on itself. I’ve yet to come across anything like it. I have those somewhere as photos taken from the screen and printed, but everything like that is packed away for when we eventually settle.
. . . meanwhile . 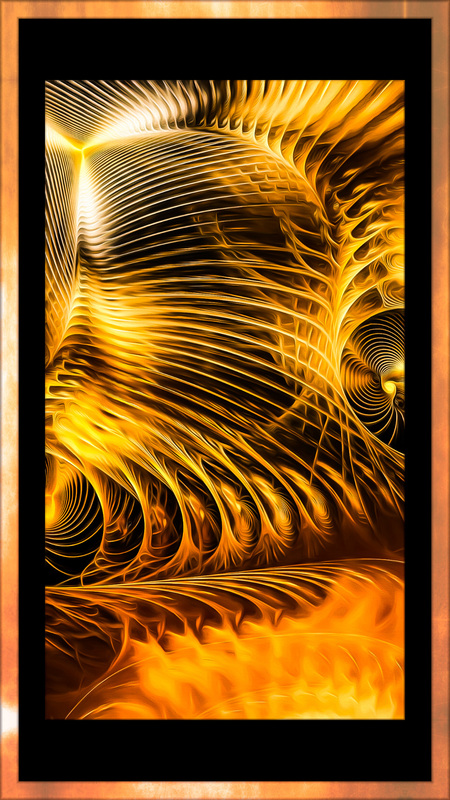 . .
JWildfire Mini is not the only Fractal App I loaded onto the Note 8 but it’s one I’m playing with right now. The program has to render the image, and this is after about eight or nine minutes of processing. If you look at it full size, it’s pretty grainy. The app has a desktop version that will render much cleaner versions, but I’m not sure I want to load the program as I already have more junk than I need loaded on this machine. So, grainy . . . obviously, I need to sharpen it some and make it grainier. For this, I used Nik Raw sharpener . . .
Then, I clean the image up using Topaz Studio AI Clear . . .
That cleaned out the graininess pretty good . . . but now I fire up Topaz Impression and run it through the Bluebeard setting. That looks a little dull to me, so I punch it up a bit in Lightroom . . . Finally, since all the Project 313 photos have a frame, I run it through Topaz Studio Digital Frame and I get the photo at the opening. Here, let me repeat it here . . . I think I’ll play a bit more with the fractal programs so you might see a few more fractal creations. This entry was posted in Software, Topaz Plug-ins and Studio and tagged Fractals, JWildFire Mini App, Topaz AI Clear, Topaz Digital Frame, Topaz Impressions Plugin, Topaz Studio. Bookmark the permalink. I like this! I’ll add it to my winter projects. I’ll list a few of the apps, but there are a lot out there. I’m still looking for something that replicates what I used to do way back when on my 386 computer. Cool! I enjoy seeing the genesis…your process! So clean and sharp, it actually hums! The Golden Fractal gets two thumbs up!